I have pee anxiety. If I’m left with limited options for a toilet I’ll suddenly feel the urge to go - even if I don’t need to. 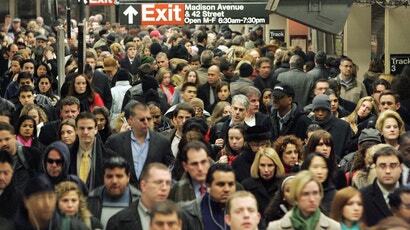 It’s psychological and it’s taught me a great deal about getting through a crowd when all seems hopeless. As I was driving around this past weekend, I asked Siri for the directions back to my house - a frequent conversation we have. 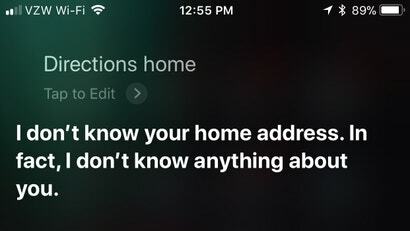 Only, this time, Siri played ignorant: "I don't know your home address. In fact, I don't know anything about you." iOS: I still think augmented-reality goggles are the future. Yes, Google Glass was creepy and off-putting, and yes, Snapchat Spectacles tanked, but as I crick my neck after a morning commute spent staring down at my phone, I feel nostalgic for the promise of a heads-up display that replaces my phone's most mundane functions. Especially navigation, the most ridiculous task to accomplish by burying my head in a device. And the iOS 11 app HotStepper reminds me just how fun AR navigation could be. Android: Google Maps is finally adding a desperately needed feature. Starting today, you can add multiple destinations to a navigation trip when you get directions on Android. Ever wonder why others tell you you're awful at giving directions? It really isn't your fault: psychology tells us that giving directions is actually pretty darn hard. Here's how to fix that. 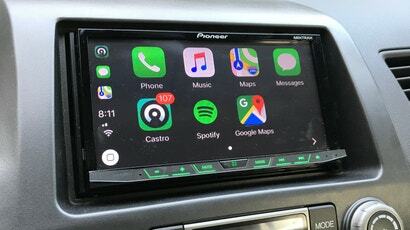 Apple's iOS 6 Maps app has been the subject of some well-deserved criticism, but any mapping platform will come up with odd suggestions if you throw enough queries at it. Google Maps, for instance, will offer you driving directions to Sydney to Los Angeles -- via Japan. If you haven't got a GPS, a petrol station can seem the obvious place to ask for directions. But for more reliable information, try a pizza place. Most of the time you head to Google Maps with an address in your head (or clipboard) with the goal of seeing it on a map. For those times when you're looking at a map and thinking "I wonder what the address is here," Google Maps has a handy shortcut for you. I often find myself using Google Maps to look up directions I've needed before. Maps now stores directions you've searched for under the My Places tab, making it possible to get directions and then quickly retrieve them before you travel. Let the giveaways continue! Today, we've got 10 copies of Navigon's MobileNavigator app for lucky readers. Web app Viamente Route Planner plots multi-destination routes for maximum efficiency. If you have a bunch of places you need to go to, and time isn't an issue, Viamente will choose the best route for you. 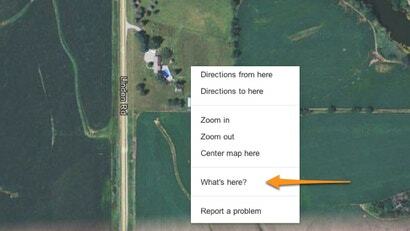 There's more to Google Maps than a place you double-check your directions. Google's data-stuffed site offers a lot of helpful tools for vacationers, spreadsheet nerds, bikers and others. Today we're digging into Google's data-rich geo-tool and pulling out some helpful lesser-known features. Weblog ReadWriteWeb features five great Gmail Gadgets that add new functionality to Gmail through the "Add any gadget by URL" Labs feature, including one handy gadget that puts Google Maps inside Gmail for quick lookups. 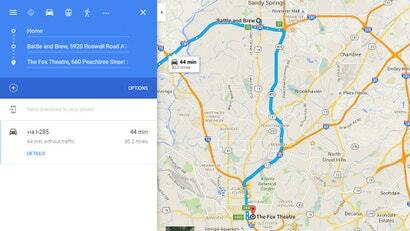 Today Google Maps adds a helpful visual feature to their driving directions: Street View turns. Search for directions at Google Maps, and click on the small camera next to each turn step in the left column to view the photos of the intersection or off-ramp. US-centric: Send detailed directions for getting around the city from your browser directly to your cell phone with web site HopStop. This webapp has been around for a while (we even posted about it a few years back), but it continues to add more areas to its coverage of the urban landscape. Offering options like subway-only in conjunction with preferences like "More street walking/fewer transfers," HopStop covers how to get from a-to-b whether you're on foot, train, or bus. If you're an experienced user (it's not available in Los Angeles, so I'm not), let's hear how it's worked for you in the comments.